Some days I just get an overwhelming urge to run. Perhaps it's the fact that I sit at a desk all day staring at a computer screen, but I feel like a tightly wound spring with all the energy just waiting to be released. I run not because I need to burn calories or because I'm chasing a certain body image but because when I run it feels like some sort of magic sprinkles over me. When I run, I am completely in that moment and no where else. Just one foot in front of the other, breathing... keep going. I'm certainly not the first person to cite the benefits of running on happiness and overall mental wellbeing but I've gone for a 'no miles newbie' to a 'need to move master' in just a few years and I feel so much better for it. I only really run for fun, I done the odd race here and there but I've never put any pressure on myself to train and I think that's why it's my go to leisurely pursuit, its just for me, just for fun. I'm not particularly fast, over the years I've never really got any faster. For once I've found something that I didn't insist on being the best at, my competitive streak just doesn't come out when I'm running. I'm not obsessed with stats or comparing myself to others. I just like to move. 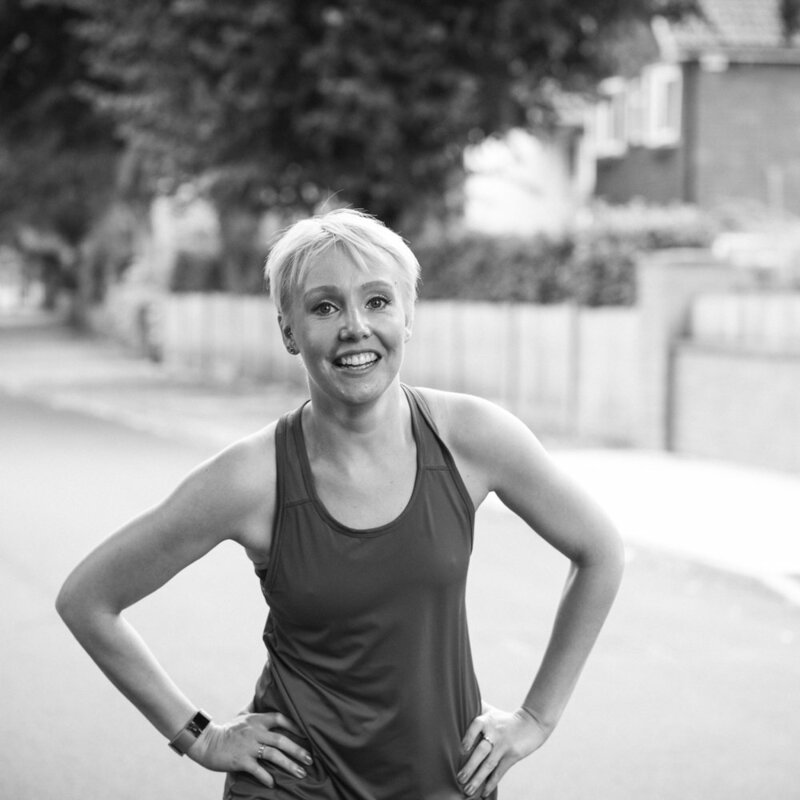 Running is not always pleasurable while you're in the throws of it; some days it feels like a slog, I can't get my breathing in a rhythm, I get stitch or my heart feels like it's going to jump out of my chest. Other days I spring like a gazelle and feel like I could just keep going forever. This is often connected too what ever is going on in my head - racing thoughts or the stress of the day distracting me. But at the end of every run all of that has melted away and all I'm left with is a glow in my cheeks, a smile on my face and an overwhelming feeling of elation. It's an absolute cliche but running really is the best medicine for a raising mind and elevated stress levels. And even on raining Manchester evenings never fails to bring a bit of happiness and fulfillment to my day.